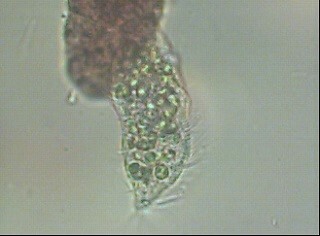 A ciliate (most likely Paramecium bursaria) with Chlorella-like green algal endosymbionts. Copyright © 2002-2018 Mass Nature. All rights reserved.